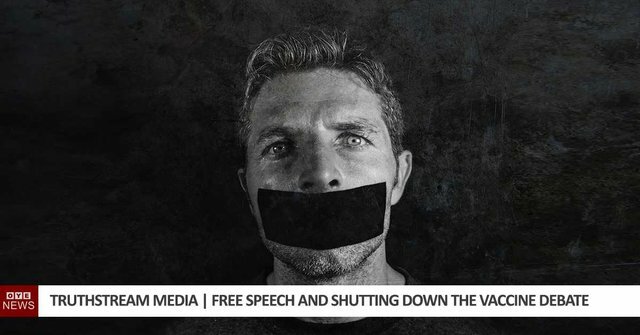 Truthstream Media present their latest video on the ongoing war on Free Speech war we are seeing unfold across the World. The news right now circulating both the sides of the political spectrum and every fringe community at either side is none other than, Vaccines. So while the debate to whether Vaccines are safe and effective is an important issue in its own right, the underlying factor here which is more important than the debate itself is censorship. We seem to have short memories as it was only 6 months ago we had a social media culling of first Alex Jones and his Infowars channels, in a coordinated attack all the well known social media giants removed Jones’ content from their platforms. Shortly after tens of thousands of content providers were reporting their content and channels had been shut down also, since then a string of voices have been silenced on these platforms and it still continues now, why? In the case of Alex Jones and the voices that followed it we primarily voices which were speaking against the politically accepted narrative and Conspiracy related content. As is the case with the current anti-vaccination information take down, the censorship of voices such as Jones was down to pressure from people outside of the platform itself. So here we are now with a graveyard of dead links on google where content creators have been shut down and hundreds of thousands of content creators adjusting their content to avoid their own demise, though through heavy filtering on their content, specifically on Youtube, their demise could be a far slower and painful death then the likes of Infowars.